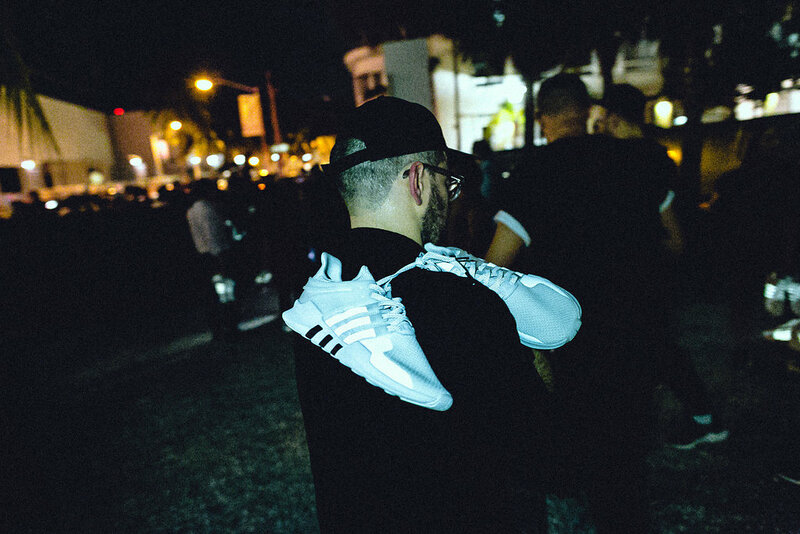 A week ago, adidas Originals celebrated EQT during Art Basel Miami at the Marine Stadium. The evening included art, a creative conversation and special music performance. 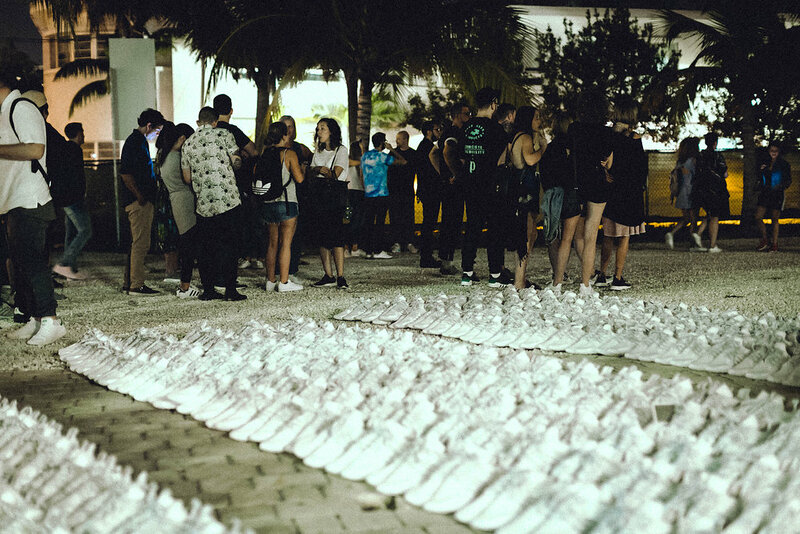 The brand revealed the ‘90s design icon, EQT through a waterfront event at the Marine Stadium and conducted a public seeding of a limited edition EQT Support ADV on Nov 30th, giving away 1000 pairs to consumers through the streets of Miami. 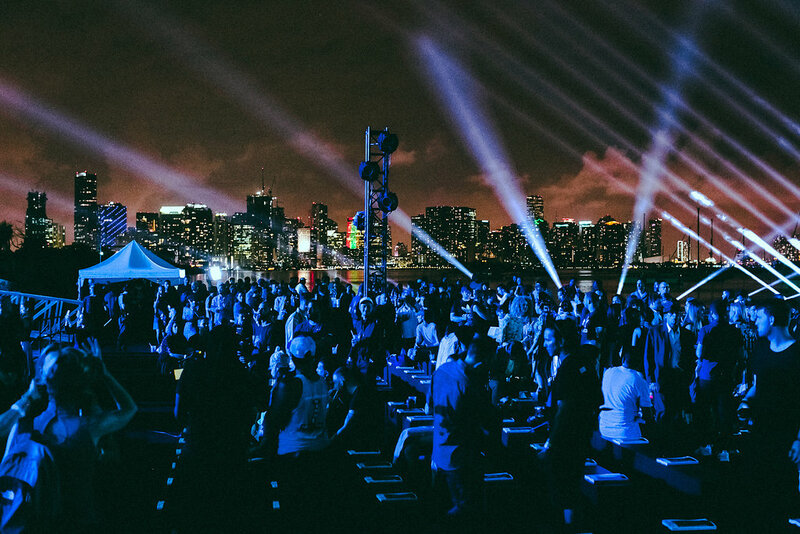 Artist Ben Jones unveiled Video 90, an original video art projection installation. 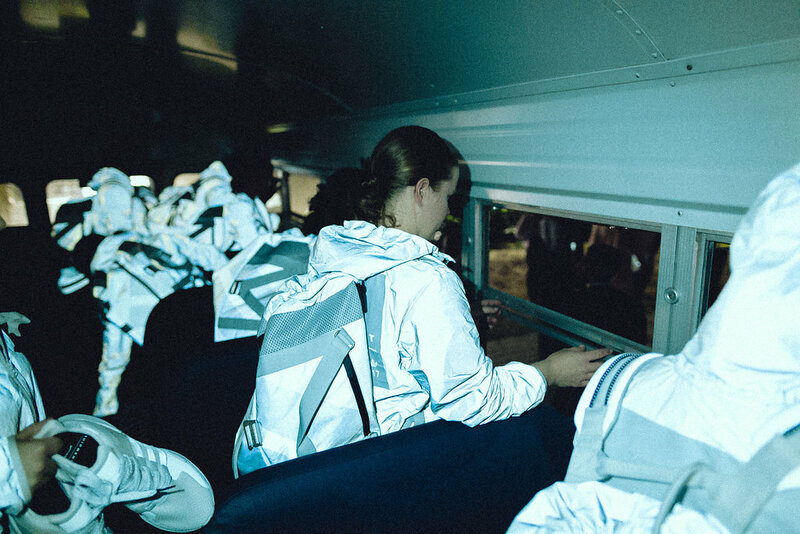 Growing up in the 90’s the cultural moments and hyper compressed culture of the times have directly influenced Jones’s present day work and inspired the original work unveiled during the event. 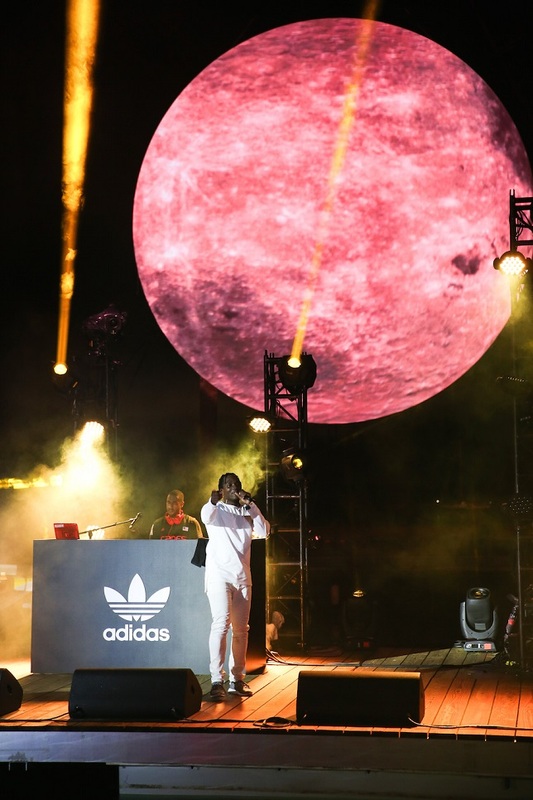 adidas Originals launched the first of its global creative discussion series in Miami. #TLKS explores the topic of creativity and cultural influences. 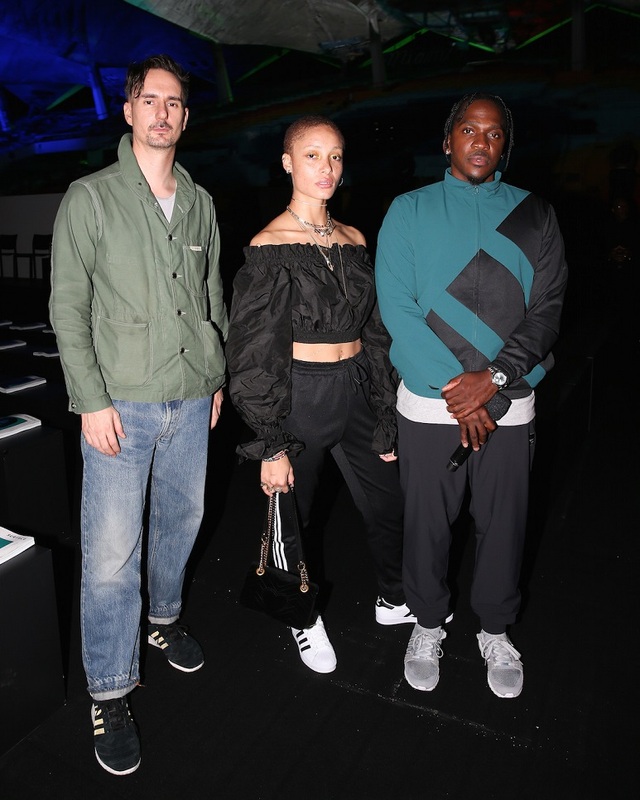 In partnership with Surface, #TLKS featured a discussion between artist Ben Jones, artist and G.O.O.D Music President Pusha T, and model, actress, activist Adwoa Aboah moderated by Spencer Bailey, EIC Surface Magazine. 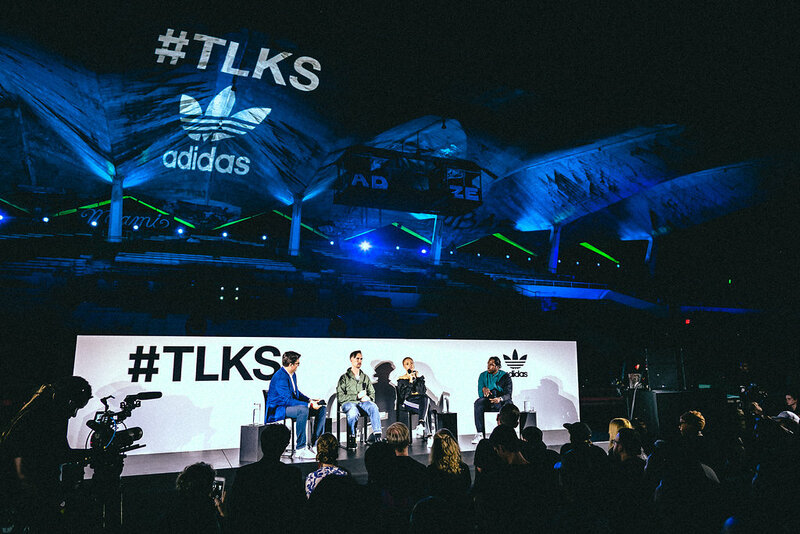 Two firsts for the adidas Originals, #TLKS was streamed via Facebook live and the official chatbot through Facebook messenger was launched, creating a two-way dialogue between brand and its creative community. 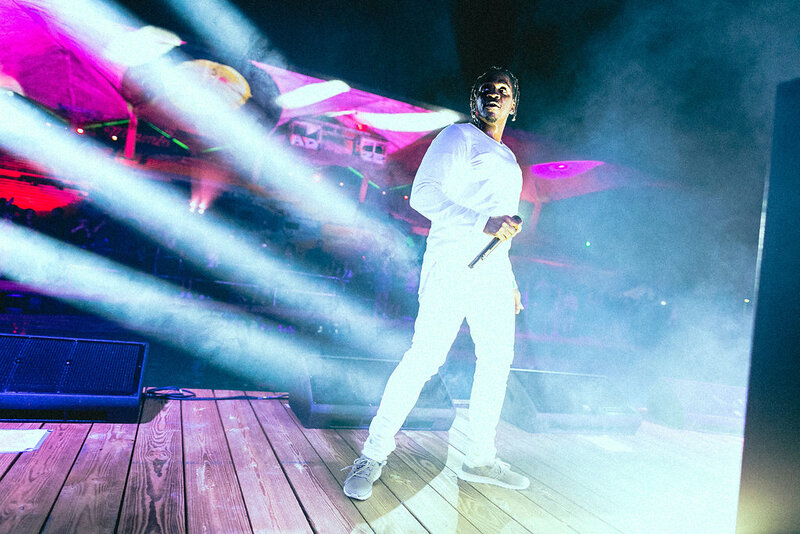 Pusha T, adidas Originals creative collaborator, performed a very special concert to guests to celebrate EQT, delivered to the unique on-water stage by speedboat, wearing his brand new King Push Grayscale EQTs. 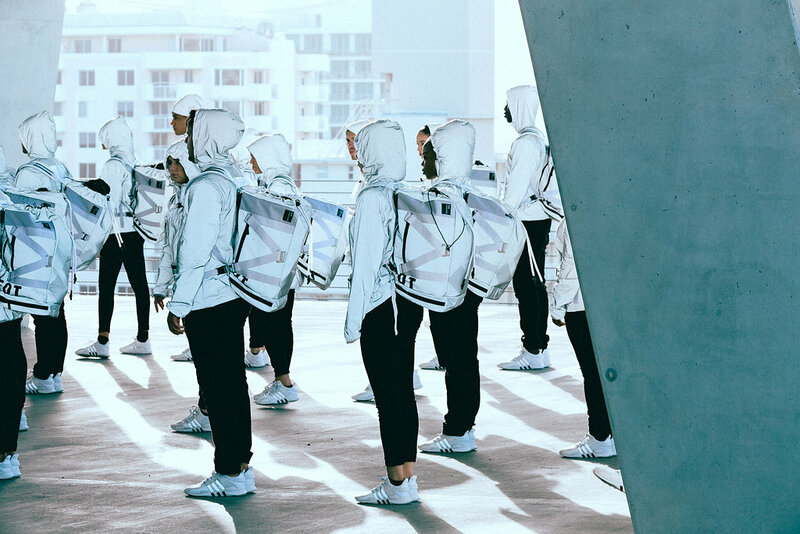 Revealed during the week’s activities, the latest evolution of the EQT series, the EQT Support 93/17 is a bold new manifestation of the EQT design philosophy. 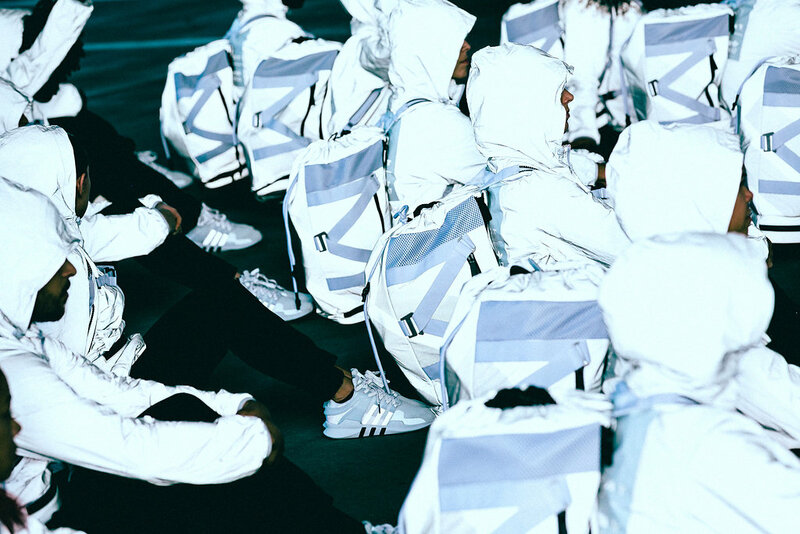 The EQT Support 93/17 reconfigures the original blueprint of the EQT Support 93 with an aggressive design language, blending authentic Equipment materials with an uncompromising modern mode. A woven knit upper in a pixelated noise motif is overlaid with premium nubuck panels and webbing-tape 3-stripes, whilst embroidered details and a contrast heel unit brings the shoe’s striking aesthetic to its peak. 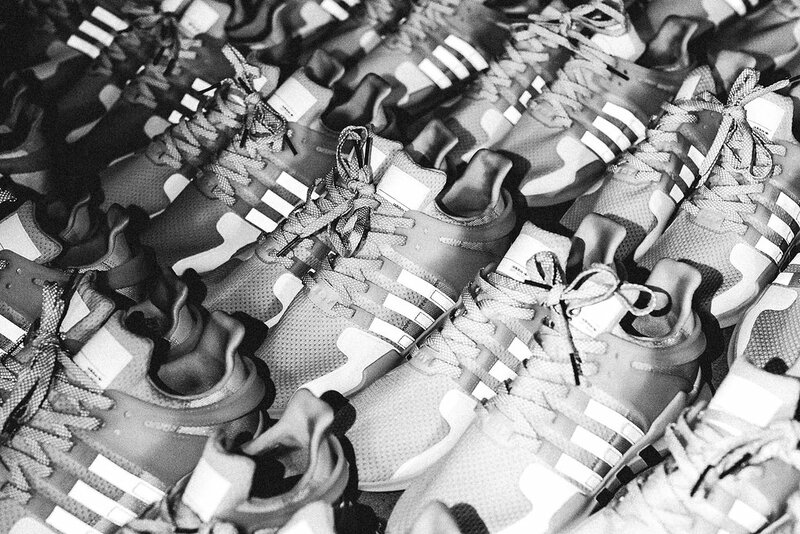 More than just looks, a slew of technical details ensure the EQT Support 93/17 is built for performance, including an OrthoLite sockliner, TPU support panel and full-length BOOST midsole unit. Debuting in a bold colourway that debuts EQT’s brand new turbo red colour palette, the release truly marks the birth of a brand new chapter for the iconic EQT series. Next Next post: Lillard3 Chinese New Year(CNY) Ball Shoes Spotted, Whatta Lillard?